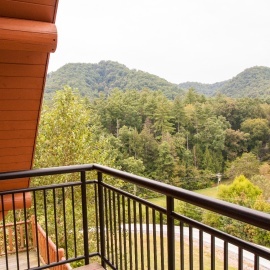 This is the best location for FAMILY REUNIONS and CHURCH RETREATS. 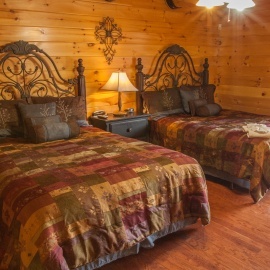 Moose Hollow lodge's 7,800 sq foot, 9 bedrooms, 20 seat movie theater, arcade, complimentary hi speed internet and private setting make this lodge the most original and luxurious log lodge in the Smoky Mountains. 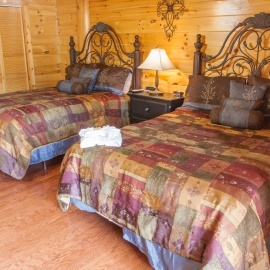 Located just minutes from Gatlinburg and Pigeon Forge. 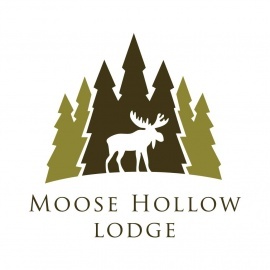 The pool house at Moose Hollow Lodge is going to make your vacation complete. 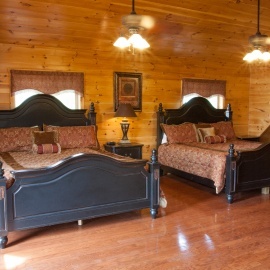 The building itself is 1250 square feet with the 12' x 30' pool situated to allow sitting room at one end. The fireplace is 8 foot wide with a large 50 inch hearth. 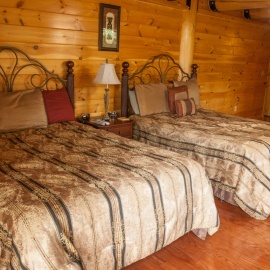 We have also provided a covered pavilion at the end closest to the cabin. This allows you to socialize as well as keep an eye on your loved ones while they are swimming. This is one of the greatest places I've been.. it was so accommodating, well stocked with pots, pans, silverware, etc. Eddie has a great venue for weddings or meetings, a pool house so the kids can burn off some energy, game rooms, and even a movie theater where kids can go, while adults have adult time. Beautiful scenery. I would recommend this to anyone who is having a wedding or just wants to vacation with a large group.. we had nearly 50 people there and you would not have known it because there is so much room! !